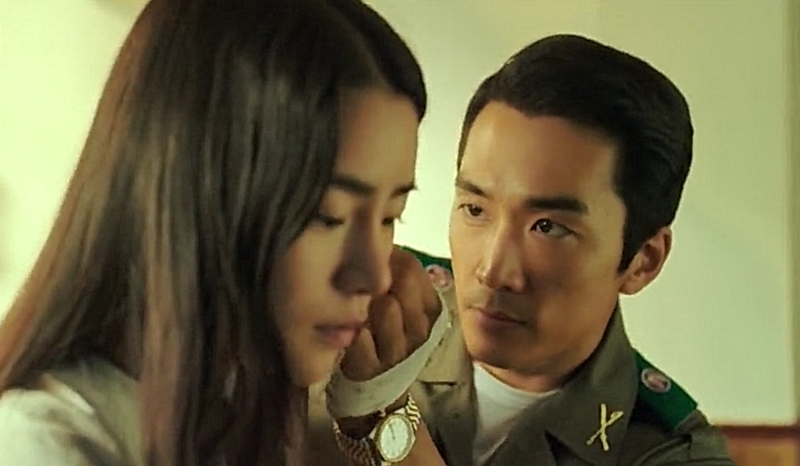 Colonel Kim Jin Pyeong (Song Seung Heon) is a dedicated soldier and a known war hero. He suffers from the horrors he experienced in Vietnam and lives his days wandering. One day he meets the wife of his subordinate, Jong Ga Heun (Im Ji Yeon). Despite both of them being married they can’t stay away from each other. A dedicated army officer falling obsessively in love with his subordinate’s wife? There’s really no way that I could pass on a plot like that. Even though the romance between Kim Jin Pyeong and Jong Ga Heun was the story here, I couldn’t really see the love between them. For a good portion of the movie I thought that Jong Ga Heun was only playing with him and would soon stab him in the back or something similar would happen. The characters and their lines sometimes felt forced. The main couple’s characters were withdrawn and when they openly talked about their feelings I found myself cringing. It felt unnatural. After finishing I really can’t say anything because I’m confused. Were they in love or did they only think so? Were they momentarily so lost that they just needed someone to listen to them? I don’t think it was love: had it been Jong Ga Heun would have followed him. The ending of the movie left me disappointed and I didn’t get the obsessive love story that I was after.